The All Progressives Congress, APC, in Kwara State has cautioned the Lagos State chapter of the party to halt making uninformed and unguarded comments on the emergence of the Senate President, Bukola Saraki, and the Speaker of the House of Representatives, Yakubu Dogara. The party said the call by Lagos APC on the leadership of APC to punish the newly elected Senate President and the Speaker of House of Representatives ‎is uninformed and unfortunate. In a statement issued on Wednesday by the Publicity Secretary of APC in Kwara State, Sulyman Buhari, the party dismissed the statement by Lagos APC as unfortunate. “It is quite unfortunate that Lagos APC recommended disciplinary actions against the Senate President and the Honourable Speaker without citing a provision of the APC constitution that has been contravened by these distinguished Nigerians and committed party leaders. “‎We advise the spokesman of Lagos APC to allow his comments to be guided by the Law and constitution of the Federal Republic of Nigeria rather than by emotions and sentiments. “‎And for the information of Nigerians, the spokesman of Lagos APC is on his own as we can authoritatively confirm that his sentiments and vituperation are not reflective of the position of Lagos APC on the inauguration of 8th National Assembly. “The good news is that in Nigeria today, the Senate President and the Speaker of House of Representatives are members of our great party, the All Progressives Congress. “It is expected that all leaders and members of our party support the duo of Senate President Saraki and Speaker Dogara to foster cordial relationship between the President Muhammadu Buhari-led administration and National Assembly, rather than an inordinate attempt to cause crises and instability. “Meanwhile, ‎it is a misrepresentation of fact and truth that the ascension of Senator Saraki as the Senate President was a PDP affair. 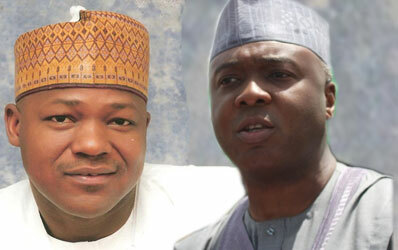 The few Nigerians who have been portraying the emergence of the new Senate President as a PDP affair should be cautious. The actual fact, which nobody or propaganda can hide, is that Senator Saraki emerged Senate President with the support of Senators across political parties.”, the statement read.